A man accused of robbing a soldier of his iPhone and cash of GH¢600.00 at gun point has been ordered by a Kumasi Circuit Court to be held in remand prison. The plea of Kofi Gee was not taken and he would make his next appearance on Tuesday, February 27. His other accomplice, whose name was not given, is however on the run. 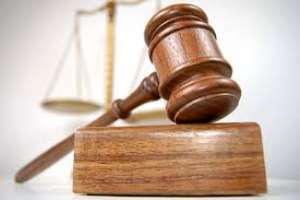 Assistant Superintendent of Police (ASP) Philip Jagri told the court, presided over by Madam Patricia Amponsah, that the incident happened on January 22, in the night. The victim, Lance Corporal Evans Kwame Yeboah, together with the wife, had visited a pastor friend at Dompoase-Aprabon in Kumasi and had excused himself to receive a call on his phone outside the house, when he saw the accused and his fugitive accomplice approaching. Not suspecting anything, he continued speaking with the person on the other end of the line and all of a sudden he saw Gee pointing a locally manufactured pistol at him. He was joined by his colleague, who removed the soldier's wallet containing cash of GH¢600.00 from his pocket. The prosecution said the victim threw his iPhone to Gee but he would not fall for the bait and instead signaled to his colleague to pick it and to bring a motorbike they had parked not far from the place. The other person, while rushing for the motorbike slipped and fell into a gutter and that provide an opportunity for the soldier to engage Gee in a fierce struggle. The accused was overpowered as he let go of the gun but the other person managed to escape with the phone and cash. ASP Jagri said the police recovered a loaded locally-made pistol and one 'BB' cartridge, motorbike and its ignition key together with Gee's a Nokia phone from the crime scene.